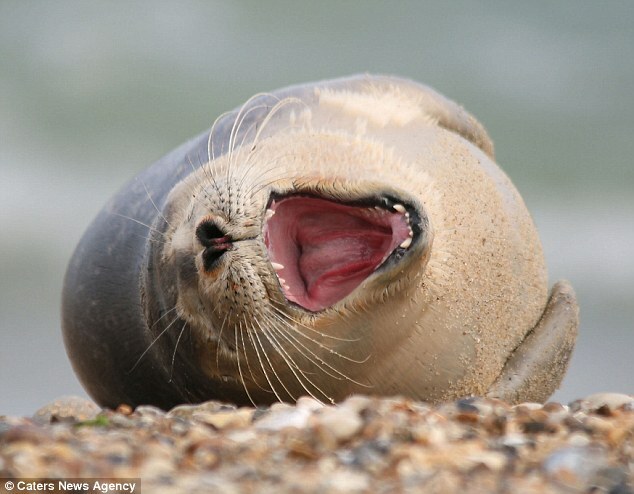 This is the humorous and rather cute moment a fluffy seal was overcome with a bout of sneezing and spluttered on a beach. 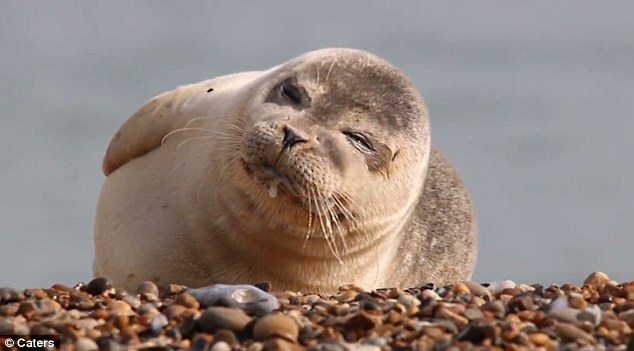 The video shows the marine mammal lying on its side with its eyes closed on Horsey Beach in Norfolk when it develops a tickle in its nose. According to the video maker, Melissa Nolan, 38, from Brighton, a group of seals were interacting with each other on the pebbled beach when she captured the footage. She said that the playful animals were not only amusing one another, but clapping their flippers together and even appearing to laugh. Melissa managed to take photographs of some of the excited seals - a mixture of white and grey in colour - smiling and grinning in addition to filming the one sneezing. 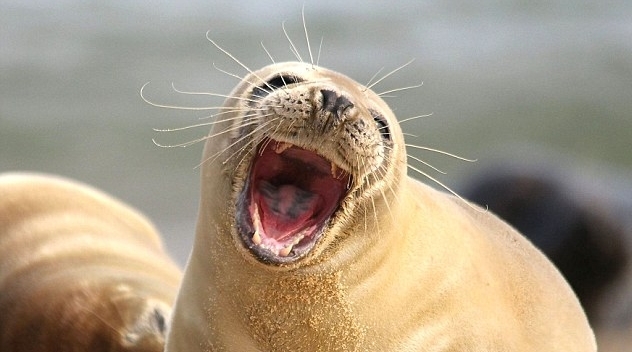 She said: 'They are just absolutely adorable, especially the sneezing seal which I have never seen before. It was just so cute. 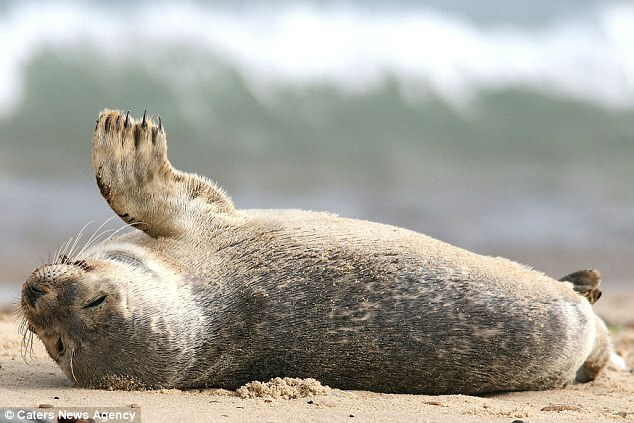 Responses to "Incredibly cute footage shows fluffy seal sneezing on Norfolk beach "